*Mary J. Blige says she has proof that she was indeed accepted into Howard University, even though the school itself claims her recent announcements about joining the Class of 2014 are not true. 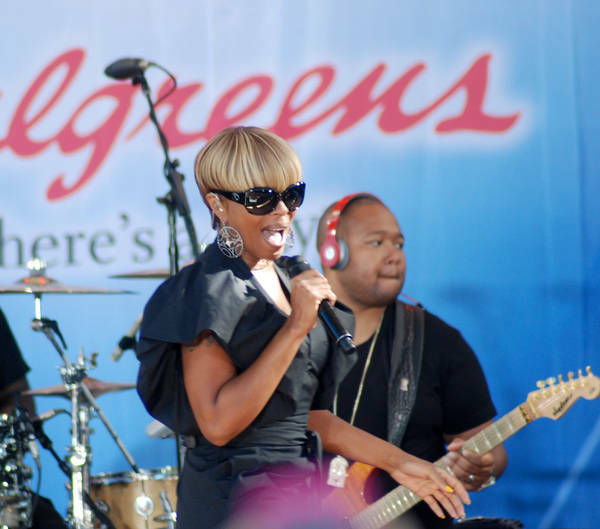 The confusion started last week when Blige, on two separate occassions, said she had earned her G.E.D. in New York and was accepted into Howard University. But, Howard told the Washington Post that Mary jumped the gun, and was not accepted into the school. Yesterday, US Weekly tried to clear things up by talking to Blige’s representative, who said that Howard approached the singer to apply, but Mary would not be attending. The ball is now back in Howard’s court. They have yet to comment on the tweets. It is very possible that MJB got an acceptance letter and the school records are not update to reflect her application and acception. This would not the first time that a school has had something like this happen and it would not be the last either. It happens! I don’t see any reason why she would lie and since she says she has the letter, all she has to do is slap someone upside the head with it at the school. You shut the admissions office down when you produce one of those letters when they don’t have their crap together. I’ve seen that happen firsthand and it’s hilarious. They will then bend over backward when you show them proof of their f*ck up. I hope she doesn’t let this mess stop her from achieving her goals and dreams.